One of the most common problems I encounter with swimmers is the deadly “crossover.” I call it deadly because it is one of the most destructive technique problems in swimming that effects speed. When swimming freestyle, as your hand enters the water at the apex of your stroke, it should be perfectly in line with your shoulder. By entering the water this way, you can maintain a straight line, grab hold of the water and propel yourself forward. 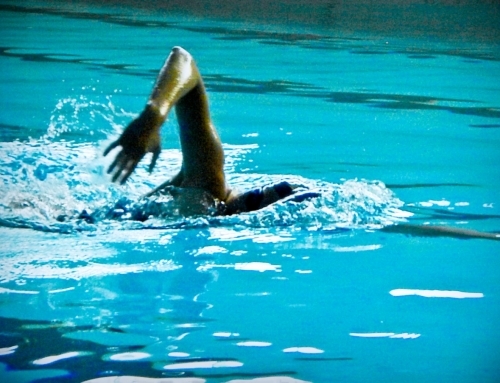 However, when a swimmer crosses over with one or both of their hands, they cross the center line as they enter the water. The swimmer’s balance is affected and is forced to compensate to maintain a straight line. In addition to slowing the swimmer down, crossover increases the swimmer’s likelihood of making other related technique mistakes. The bottom line? 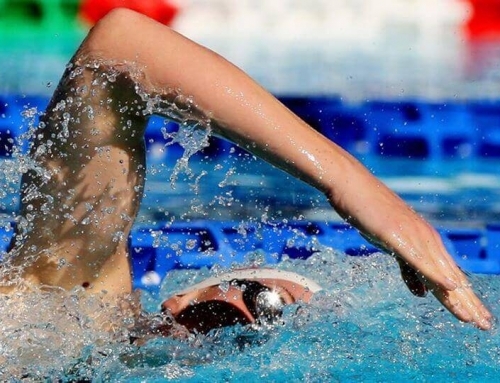 Get rid of crossover and chances are the swimmer will improve several aspects of their swimming technique. Why does crossover slow you down? Crossover affects your ability to grab the water and pull it backward, thus reducing your propulsion. The swimmer then tries to regain balance by snaking their hips or doing a scissor kick. When scissor kicking or snaking, the body rotation needed while swimming becomes difficult. All these actions create more drag. While the swimmer is snaking or scissor kicking it is difficult to rotate your body to breath without losing propulsion. Swimmers who crossover are at a higher risk for shoulder injury. If they combine the crossover with a thumb first-hand entry the risk becomes greater. If not corrected crossover becomes a greater problem in the open water, where swimming straight is vital. An athlete that crossover while swimming can add an extra 10 percent to their distance. In an Ironman triathlon, this can cost the swimmer five to ten minutes. There are several drills I use with my swimmers to correct the crossing over. One such drill is the “kick on your side drill.” To be able to swim straight the swimmer needs to establish a good swim posture. 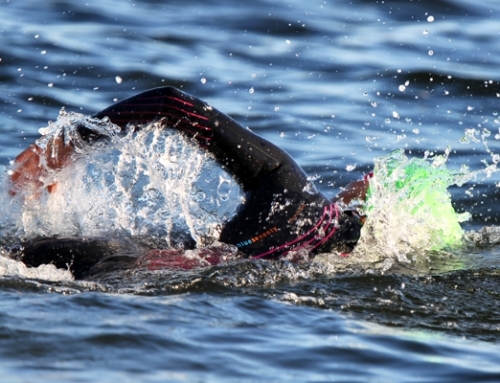 Kicking on your side helps the swimmer learn what it feels like to swim straight. The second the lead arm crosses the center line, the swimmer will notice that he is heading towards one side of the pool. To do this drill use fins. Push off the wall and bring yourself to a 90 degree position on your side. Kick at a steady pace with your lower arm pointing out in front, and your top arm resting on your side. Your face is down in the water and you are exhaling. You should feel like you are looking past your armpit. To breath turn your head and inhale. The focus should be on integrating your shoulders together. This will help you to point your lead arm straight. Always swim 25 yards after the drill to establish muscle memory. 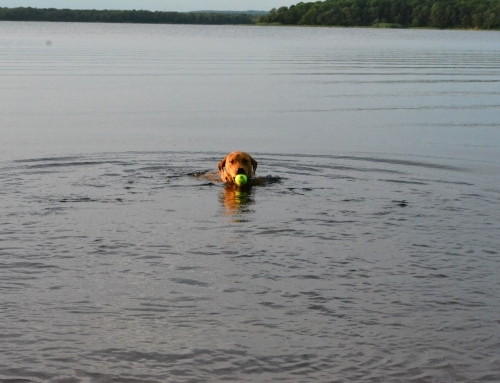 This is the time of year to focus on your swimming technique. If you feel you need more cardio workouts get them somewhere else. 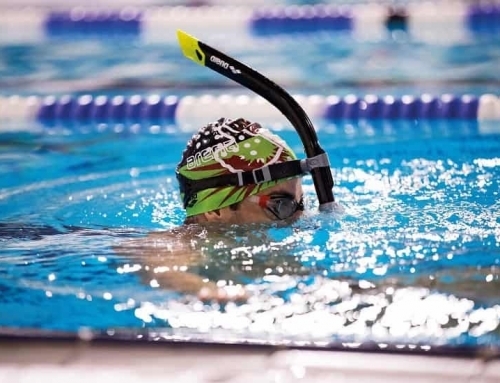 Time spent now on technique will translate to swimming faster and avoid possible injuries during your race season. ..